Chevrolet doesn’t always offer incentives for its more specialty models. 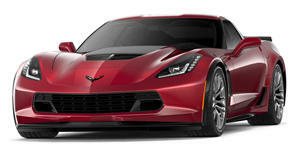 As we previously reported, however, that hasn’t been the case lately, as the automaker has been doing its utmost to tempt those considering a new Vette. Exactly one month ago we told you that GM offered up to $8,000 in potential savings, and one year prior that figure was around $2,000. This month, as first reported by Corvette Blogger, Chevrolet is offering 10 percent off select 2017 Corvette models. Do the math and you’ll see that’s also a pretty sweet deal. The incentive program works like this: Chevrolet will offer each of its dealers a limited number of Bonus Tags, a setup that allows those dealers to sell the cars at the Supplier Price and add to that a rebate, further reducing the cost by 10 percent. What’s Supplier Pricing, speaking of which? It basically falls in between Employee and regular retail pricing. However, in order to initiate this month’s incentive, Chevrolet dropped the Owner Loyalty rebates, which were good for $2,000 off, as well as the free Brembo Carbon Ceramic Brakes, valued at $5,000. 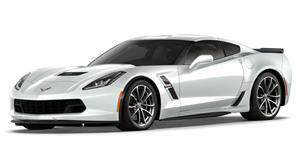 Will future Corvette rebates/incentives get any better? Worse? Look, anything’s possible, but we must also take into account the fact that the Bowling Green, Kentucky Corvette factory will be shutting down to tours in June for 18 months because it needs to be prepped for C8 production. 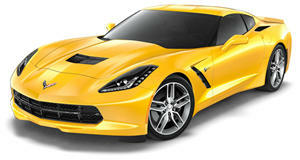 The remaining C7s are either custom ordered, or will spend time on dealership lots waiting for a new home. So, if you’re willing to wait it out, there could, but not guaranteed, be some even better deals on the horizon.